- Maryam (Nasim) Naghash Zargaran, a prisoner of conscience, who is kept at the Women's Ward in the notorious Evin prison, is in grave danger of her life. Maryam had started a hunger strike on May 26 in protest against the systematic violence of her basic rights such as medical care, conditional release and her unknown fate in the prison, whereupon, she was transferred to the hospital because of her physical deterioration. Officials returned her back to the prison without any medical treatment as she was unconscious, HRANA reported. 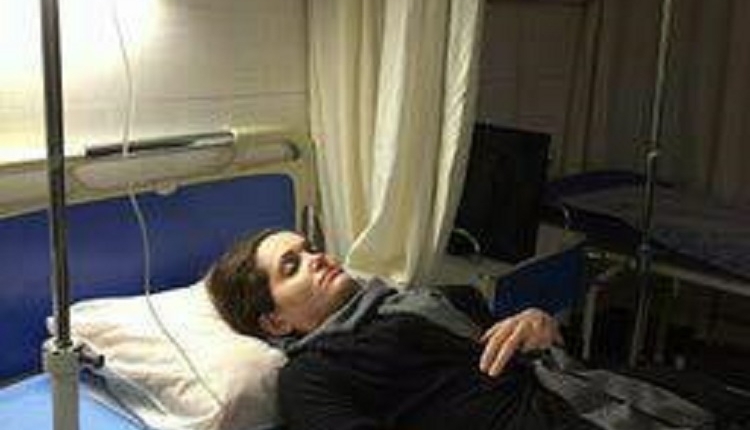 Maryam, 35, suffers from atrial septal defect (ASD), diabetes, blood fat, severe pain in her ears and chronic dizziness. The Christian prisoner also contracted lumbar disc, arthritis, and anemia because of poor nutrition and inappropriate conditions in the prison. Intelligence Service officials summoned Maryam in 2013 and she was taken to Evin prison. She endured severe tortures both physically and mentally during the investigating in the Islamic regime’s chambers of Iran. Officials kept her in an isolation place where she had not necessary sanitary facilities, BCR Group has learned. Iran’s authorities accused her on the vague charges of “propaganda against the regime of Iran” at Branch 2 of the Shahid Moghadasi Court in Evin, but the officials released her on the bail of 23000 $ (70 million Rials) after 19 days of temporary detention. She was sentenced to four years in prison for ambiguous charges as- acting against national security through assembly and collusion at Branch 28 of the Islamic Revolutionary Court in Tehran, chaired by the infamous Judge Mohammad Mogheyseh. After all complications and being denied medical attention or temporary release, she was released on bail for 33,000$ in June 6, 2016. Finally, on June 6th, 2016, Maryam was returned again to Evin on June 27th, 2016, to serve her remaining sentence. THEREFORE: We, the undersigned, demand that the international community bring all possible pressure to bear upon the Islamic Republic of Iran to honor its binding human rights by IMMEDIATELY and UNCONDITIONALLY releasing Maryam (Nasim) Naghash Zargaran from the prison, stopping her ILLEGAL arrest and dropping all equally ILLEGAL possible charges against her. The Immediate & Unconditional Release of the Imprisoned Christian Convert Maryam Naghash Zargaran petition to UN, Ban ki-Moon, OHCHR, Navi Pillay, Ahmed Shaheed, State Department, EU, European Parliament was written by Kaveh Taheri and is in the category Human Rights at GoPetition.